Image courtesy of Karina Gelencser (rdjpwns). It's always a risk when creators decide to continue a well-loved and what we thought was an already-put-to-rest story. Look what happened to beloved Atticus Finch when the sequel to To Kill A Mockingbird came out. He went from hero to man -- and an unlikable one at that -- in a matter of just a few hundred pages. And Lisbeth Salander got the world's most mediocre treatment in the new installment of the Millennium Trilogy, a book so dreadful I only read 20 pages before throwing it across the room, preferring to keep my memories of her intact and make my own imaginings about her future. The Star Wars franchise itself has fallen into this trap in the past, with the painfully horrible first three films. And so, thirty years later The Force Awakens. It's decades after the defeat of the Empire, and yet the war between good and evil still rages in a galaxy far, far away. So begins JJ Abrams's remarkable spin on the Star Wars world, where the entire notion of heroes starts turning on its head and landing in unusual formations: While genocide takes place at the hand of both sides, often indiscriminately and wholly calculatedly, one wonders how is there even still a concept of the Light and the Dark Sides when everyone is committing such atrocities of war? Could the forces of Light and Dark get any more grey? Which brings us to our former heroes Han Solo and now-General Leia Organa, who still continue to lead the Resistance against the forces of darkness who in the meantime abandoned their son because their war was more important than the care and attention Ben Solo needed as he struggled between the Light and Dark Sides, just as his uncle and grandfather had done before him. Nobody is born into the Light or the Darkness. A Jedi or dark warrior is made by their circumstances, just as in real life. So, who could blame Ben Solo for struggling to understand good and evil when his father is a rapscallion, a thief, and an egotistical misogynist with no regard for anyone, and his mother is a self-righteous and entitled princess whose narcissistic tendencies and hunger for power to prove herself clearly dominate? These were always complicated characters, and it seems time has done nothing to temper their core personalities, nor has it transformed them into good people or good parents. How do you expect a boy to learn good from evil when his own parents' behavior toes the lines of both? How do you write a child off when he's still so young and hasn't even had a chance to explore different ways of being? 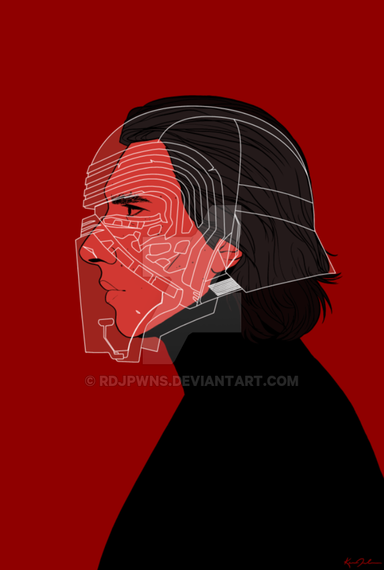 You cannot abandon your child and expect there to be no emotional or physical consequences, even more so when you leave them vulnerable to the kind of emotional and physical abuse Ben Solo/Kylo Ren experienced in the fold of The Dark Order. Leia and Han may fight for the Light, but they're horrible people. It doesn't matter how many great things you do for justice or equality or humanity, if you do bad by children you will never be redeemed. It also never fails to surprise me how people with their own deep and unresolved parent wounds go on to perpetuate the cycle of woundedness in their own children, and out of sheer laziness by Leia and Han in this case. The opportunity for them to shift the cycle was so clear, and instead they chose otherwise. Han Solo has now paid the karmic price and I'm sure Leia's penance won't be far behind, not that these violent retributions will help their broken son much. For so many people the almost-primordial parent wound is the root of mental illness, addiction, and a special kind of soul suffering. 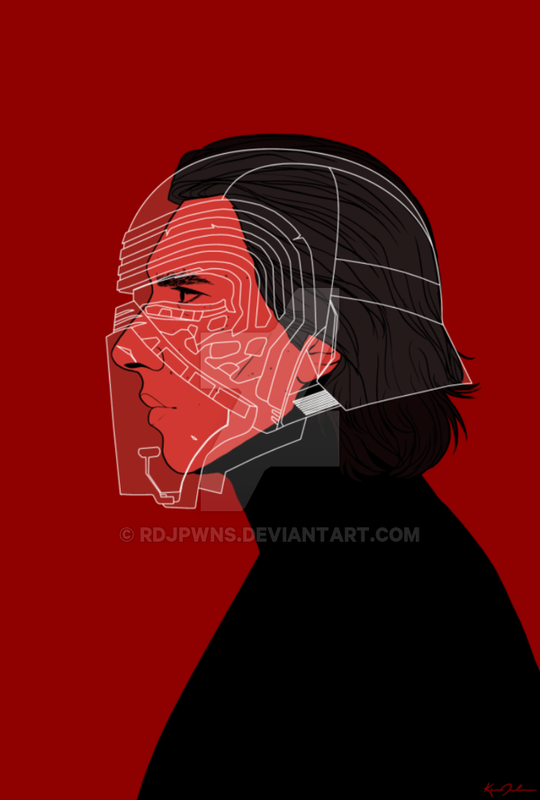 Kylo Ren personifies the damage his parents did by passing him off as someone else's problem. And so the call of the Dark Side would inevitably grow stronger as the rage in him grew. Yet, still, in Kylo Ren the call of the Light is ever-present, but without guidance to develop it he remains in an emotional limbo caught between the events that were put in motion by his abandonment and an actual desire to change that course. Even Darth Vader -- the most evil denizen of the Dark Side -- had light left in him, and how poetically ironic that Kylo Ren prayed to Vader to help give himself over to Darkness when his grandfather experienced that exact same struggle. And for Kylo Ren, the secondary emotion other than rage that flowed off his shoulders in waves -- even with his face masked -- was the visible pain and further evidence of a profound sadness that had never known any respite. Kudos to Adam Driver for crushing his performance of Ben Solo/Kylo Ren on an epic level. Not many can achieve that perfect balance of wounded soul and villain simultaneously, and Driver accomplished it to marvelous effect. Ultimately, our goodness or badness are in our own control, you don't need to be a Jedi warrior to understand that. Often, where that parent wound hurts the most is in the what ifs of what could have been, something Kylo Ren struggles with the entire film. He's been inducted into the Dark Side, he was given up by the Light, and by the time his parents attempt to heal those early wounds it is already too late. For Kylo Ren, like for so many others, that original parent wound has been festering for so long it's gone gangreneous and amputation is the only solution. For a narrative based on the polarities of Good versus Evil, The Force Awakens certainly complicates both notions into a sweeping shade of grey that overtook the entire visual and narrative palate of the film. In fact, I'd argue that the entire film is made up of anti-heroes, none of whom should be reified as Light or Dark. I was disturbed by the ease at which Rey murdered Storm Troopers (candidate for the Dark Side, anyone? ), while in contrast actual Storm Trooper Finn was unable to pull triggers (someone train this kid in The Force and stat). Kudos to JJ Abrams and his team for creating a nuanced chapter of the Star Wars saga in a way I haven't quite seen before. Here's hoping that the greying of Light and Dark continues to upend the tropes we've come to expect in Star Wars, and sci-fi beyond for that matter. JJ Abrams and company took a huge risk bringing the story 30 years forward, and in so many ways my main takeaway from Star Wars: The Force Awakens was a pervasive melancholia at where these beloved characters had ended up, the reprehensible choices they made, and the futility of continuing to fight a decades-long war. As a Sri Lankan American, I can't help but think of the civil war that tore apart my fatherland, a war that even a decade after its dissolution continues to have physical, emotional, and psychological repercussions to this day, and not just in the country, but beyond into the Sri Lankan diaspora. To that effect, I can't imagine there will be many happy endings for anyone in the Star Wars galaxy, even if the Light wins. And as for my new favorite character Kylo Ren: my hope is that when all is said and done he can find some peace wherever in the spectrum of Dark or Light that may be. Abrams did a marvelous job of complicating the notion that just because you may fight for the side of Light, that doesn't mean you're a good person, just as fighting for the side of Dark doesn't necessarily make you a bad person. There's no room in today's media for the polarities of good or evil -- Republicans, please take note -- and it's groundbreaking to see a creator take a story with an extremely polarized worldview (or galaxyview, rather) and turn it on its head in so many clever ways. Now if the future Star Wars films could find a way to pass the Bechdel Test more than just marginally then we're really on our way to some truly magnificent storytelling.